The next time you log into Gmail you may notice a small red padlock next to a sender’s email address to highlight the message is potentially unsafe. 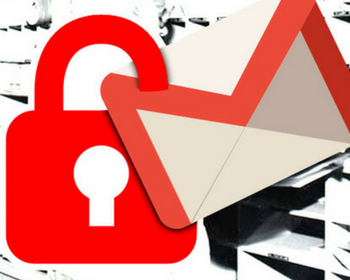 Coinciding with Safer Internet Day, Gmail just made a significant security update: all emails sent without TLS encryption will now feature a “red lock” sign when they land in your inbox. At Pepipost, we share Google’s commitment to online safety (one of our key philosophies is to clean up the transactional email ecosystem through our top-notch platform) — and that’s exactly why all Pepipost emails are TLS encrypted. We’re excited to be one of the few transactional email platforms that fulfill Gmail’s new safety standard on Day 1! If you’re one of Gmail’s 900 million active users, it’s essential to stay up-to-date with Google’s latest changes and security updates. Here are three things you need to know about this change. If your emails are sent through an email service that doesn’t support TLS encryption, your emails will be flagged with a red broken lock sign. While Gmail states that this doesn’t mean the email is dangerous, it is meant to serve as a warning and could prevent a significant number of recipients from opening the email and marking it as spam or deleting it. This will happen even if recipients have previously received and opened your emails. You may be surprised to learn that many email service providers (ESPs) don’t encrypt emails while they are in transit, as this feature requires a difficult and timely process. If you’re using Pepipost, you’re in luck! We are one of the few ESPs that now TLS encrypt all emails sent. All of your transactional emails will arrive in your recipients’ Gmail inboxes without flags or red locks, helping them know that your email is safe to open. If you aren’t currently using Pepipost, contact your email service provider to find out about their plans for TLS encryption. If they don’t encrypt their messages, then a switch to Pepipost is now all the sweeter! At Pepipost, we’re industry leaders in the transactional email, and our Deliverability Experts team works non-stop to make sure our users have the best possible experience with our platform. However, we want to let customers know that this Gmail announcement could have an impact on the open rate of your messages. As we are closely monitoring this change, we have seen a slight dip in email open rates; therefore all the transactional email providers are advised to implement this encryption in order to ensure smooth delivery without hampering the opens. Within next 24 hours, Pepipost will be ready with our full-fledged TLS solution, and all emails will start flowing with encryption. While this update may seem like a pain for ESPs that don’t offer TLS encryption, Gmail’s update is a positive move toward greater security for email users. At Pepipost, we’re proud to be up-to-date on the latest industry standards and best practices to help you get your messages delivered.